Earning Gas Rewards is as easy as shop, earn, redeem! Simply shop your favorite products at your local Pak 'N Save store, earn points on purchases and redeem Gas Rewards at participating stations! Whether you’re a commuter or planning a road trip, Pak 'N Save fuel program is for you. Find a station near you today and start saving! Get extra savings on your favorite products with just for U® at your local Pak 'N Save! Clip your digital coupons and personalized deals all in one place. Find your club specials and save on the things you already buy that are currently on sale. Create your shopping list, then print or email for an easy reminder. Sign up today and start saving! Find a huge selection and variety of Pak N Save exclusive brands throughout the store! From produce and dairy to floral and decor and everything in between, Pak N Save has you covered. O Organics®, Open Nature®, Signature SELECT™, Signature Home™, Signature Care™, Lucerne® and debi lilly design™ are just a few of the unique brands you will find at your local store. What makes our brands special? O Organics® products are USDA certified organic and are all at a value to the leading organic national brands and it doesn’t stop there! debi lilly design™ products can be found in your floral department and will make seasonal entertaining fun and festive while Signature SELECT™ will make every day extraordinary with premium foods and meals. Shop exclusive brands, like these, at your local Pak N Save today! 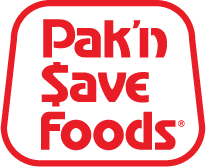 Visit your neighborhood Pak 'N Save located at 3889 San Pablo Ave, Emeryville, CA, for a convenient and friendly grocery experience! From our bakery and deli, to fresh produce and helpful pharmacy staff, we’ve got you covered! Our bakery features customizable cakes, cupcakes and more while the deli offers a variety of party trays, made to order. At the butcher-block you’ll find an assortment of meat and seafood, even offering sushi in select locations, while the produce department is full of fresh fruits and veggies galore! Shop the floral department for exclusive debi lily design™ products and services and stop by the pharmacy for specialty care, including immunizations, prescription refills and so much more! Pak 'N Save is dedicated to being your one-stop-shop and provides an in-store bank, Coin Star system, and Western Union service in select locations! Further enhance your shopping experience by grabbing a hot cup of coffee at your in-store Starbucks or Seattle’s Best Drip Coffee and enjoy renting a movie from Redbox. Check out our Weekly Ad for store savings, earn Gas Rewards with purchases and download our Safeway app for just for U® personalized offers. For more information, stop by or call (510) 450-1200. Our service will make Pak 'N Save your favorite local supermarket!